All our staff are fully trained, experienced and qualified. We are approved installers for Agilia, Aggregate Industries, Cemex Supaflo, Gyvlon Screed, Hope Construction, Lafarge Tarmac. Screedmaster work extensively throughout the UK installing free flowing floor screed for both residential properties and commercial developments. We offer a free site survey followed by an exact quotation to allow you to budget your project effectively. 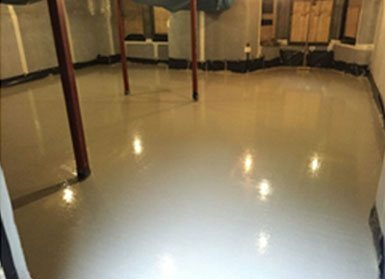 With more than 10 years combined experience working with liquid screed in London, Screedmaster can take care of all your flooring requirements. We can provide a pour-only service, an insulation and preparation service, and a fully integrated underfloor heating package. Call us now for an informal chat about your project or E mail us your details. Liquid Screed is far less labour intensive and can be applied at rapid rates of up to 1000 square metres per day. Liquid screed is more efficient as a product when compared to other methods, as Liquid screed it can be laid at a depth of 35mm compared to 75mm.This can be invaluable when there are major restrictions with height in properties requiring insulation and a screeded floor. At screedmaster we use this method of screeding to provide a smooth, flat surface for the application of most floor coverings with no curling or curing required. At Screedmaster we specialise in pump applied, free flowing, self-compacting floor screeds for both residential properties and commercial developments. Flowing screeds are the next generation in floor screed, delivering some very tangible benefits, particularly when used with an underfloor heating system. Screedmaster is able to offer a range of services which include underfloor heating packages, preparation and installation of all screed products as well latex flooring and concrete pours. Screedmaster is able to supply and install a variety of different screeds to meet varying requirements such as Thermio+, Excelio and XTR. BELITEX® self-levelling, fast drying, cementitious based screed which can be used indoors for a variety of situations including wet rooms. For more information on this market leading product please Click here. Cemfloor is a popular solution for use with underfloor heating, due to the fact it can be laid in very thin sections allowing a high thermal conductivity . We comply with the GDPR regulations regarding your personal data, if you would like to receive communications from Screed master on latest products and services via E-mail, please tick the box. I consent to the conditions.